Fire Fighters are in a constant battle with fire across the Las Vegas area. Now, they are fighting another battle with politicians. The Clark County fire department is encouraging politicians to pass a bill requiring that all newly constructed residential houses have fire sprinklers installed. Las Vegas currently has a law that states that any house over 10,000 square feet is required to have fire sprinklers. Fire fighters believe that this is not enough and the law must be expanded. The battle for this bill is being reignited after a similar idea was rejected in the year 2010. At the time, this idea was only for the City of Henderson and not Las Vegas as a whole, but it was gaining steam before being rejected by legislators due to the housing market still recovering from the recession. It was believed that the increase in costs by requiring fire sprinklers to be installed would scare home builders away from building in the area. The same concerns are at the forefront of the legislation as they attempt to come to a conclusion on whether to pass or reject this bill. People also ask: How long does it take to Close on a House in Las Vegas? Why do We Need Fire Sprinklers in the House? The Las Vegas fire department is bringing this discussion back not because of an increase in residential fires, but instead because of the decrease in the amount of time fires are taking to reach what firefighters call the flashover temperature, which is around 932 degrees Fahrenheit. A flashover is when all combustible materials in an enclosed location ignite at the same time. When this happens, there is almost no hope for the house to be saved from complete destruction. Firefighters say that the increase in energy efficiency of houses and the use of modern styling are to blame. Houses are designed to keep the temperature inside of the house independent from the temperature outside of the house. When a fire occurs, the hot temperatures are trapped inside of the house. With modern styling using more artificial materials that are easier to ignite, the flames spread quickly throughout the house, continuously heating up with every object that is engulfed. Since there is agreement that energy efficiency and modern styling are not going anywhere soon, the fire department believes that other actions must be taken to ensure the safety of those living in residential housing, such as requiring the installation of fire sprinklers. Fire sprinklers are not a new idea and, in residential homes, have been becoming increasingly popular in cities and states across the nation. California, Maryland, and Washington D.C. have passed bills in the past few years requiring the installation of fire sprinklers for new residential houses, while many other states decided to allow local jurisdictions to decide if a mandate is required. Although fire sprinklers do not prevent a fire from occurring, they do significantly decrease the damage caused by a fire, which is why these bills are becoming increasingly popular across the United States of America. According to the National Fire Protection Agency, fire sprinklers can reduce the damage done to a residential home by up to 70% per fire as well as also reducing the risk of death by about 80% per fire. Despite these statistics, the bill is not without opponents. Some Las Vegas legislators believe that the data is incomplete and longer studies need to be completed. Others argue that the costs of requiring fire sprinklers in residential homes would outweigh the benefits. Home builders are inclined to agree with these legislators. The fire department argues that the saving of lives outweighs any cost. The battle for requiring fire sprinklers in newly constructed homes comes as construction is rising in Las Vegas. Annual new home starts are at their highest level since the first quarter of 2008, which was before the recession occurred. Higher demand and shrinking supply is already causing an increase in prices, which is why the city is fearing the increased cost of required fire sprinklers. Increasing the cost for suppliers may scare them away from building at a time when the demand is rising. Should this happen, some legislators fear the cost will be passed on to home buyers, which could cause a decrease in the demand. Residential home builders such as American West Homes are enjoying the booming industry. They are leading leading the new home industry by having 39 new home contracts, holding a slim 2 contract lead over D.R. Horton. Other top builders with an increase in new contracts are Lennar Homes and KB Home. Although the home builders have not done anything new to increase the safety of the residences they build, Las Vegas is known for having tight regulations on residential homes and law makers have hoped to keep this reputation in recent years. All residences must pass an inspection conducted by Las Vegas before being deemed livable and available to be purchased. The Las Vegas fire department received over 115 thousand calls in 2016 and they are hoping that passing this bill would reduce that. In the meantime, the fire department wants residents to know about other fire prevention methods and what to do if you believe you are caught in a house fire. 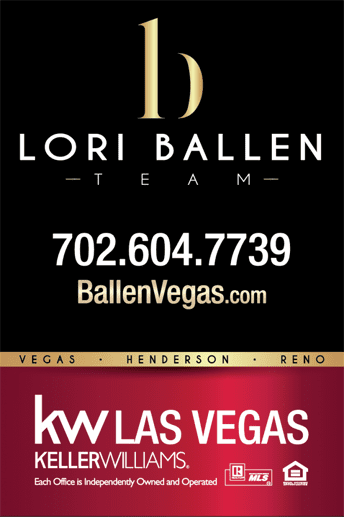 Others have asked: How is the Las Vegas Real Estate Market today? Never leave food unattended to when cooking. Keep loose materials away from electrical outlets. It is a good idea to buy outlet covers for unused outlets. Never burn a candle that is not under constant supervision. Keep loose materials away from lit candles. Do not smoke indoors and ensure that the butts are fully extinguished before discarding them. Every residence should have a smoke alarm and a fire extinguisher installed on every level of your home. Timing is everything when it comes to a house fire, so being alarmed at the earliest possible stage is essential. 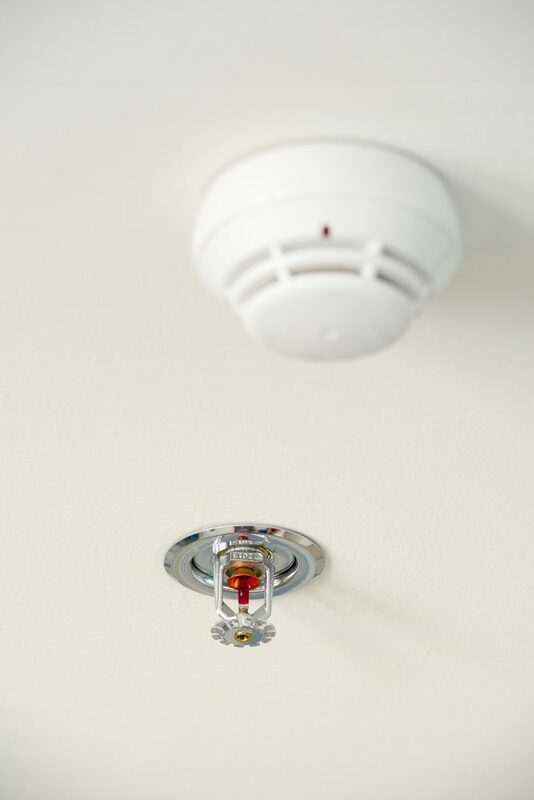 Fire alarms should be tested monthly and batteries should be changed immediately if they need to be. It is important that every family member knows how to properly use a fire extinguisher. A simple way to remember the proper technique is to use the PASS procedure. A-Aim at the base of the fire. It is important that you are approximately 6 feet away from the base of the fire to ensure accuracy. S-Sweep from side to side. These steps are the most effective way to extinguish a fire. It is important to remember, however, that a fire extinguisher will only spray for around six to eight seconds, so accuracy is important. If you do not feel comfortable using a fire extinguisher, it is recommended to take a class on how to properly use one. Knowing how to use one could be the difference between a small flame and a full house fire. All families should have a fire escape plan that is practiced at least twice every year. This prevents confusion should a fire ever break out. If you believe your house may be on fire, it is important that you remain calm, but act quickly. The first step is to identify whether you should attempt to put out the fire or if you should seek immediate safety outside of the house. You should only attempt to extinguish a fire if the flame is small. It is important that you understand how to properly use a fire extinguisher before you find yourself caught in a moment like this. Should the fire be too big to fight, your immediate priority should be to locate your family members and exit the house. 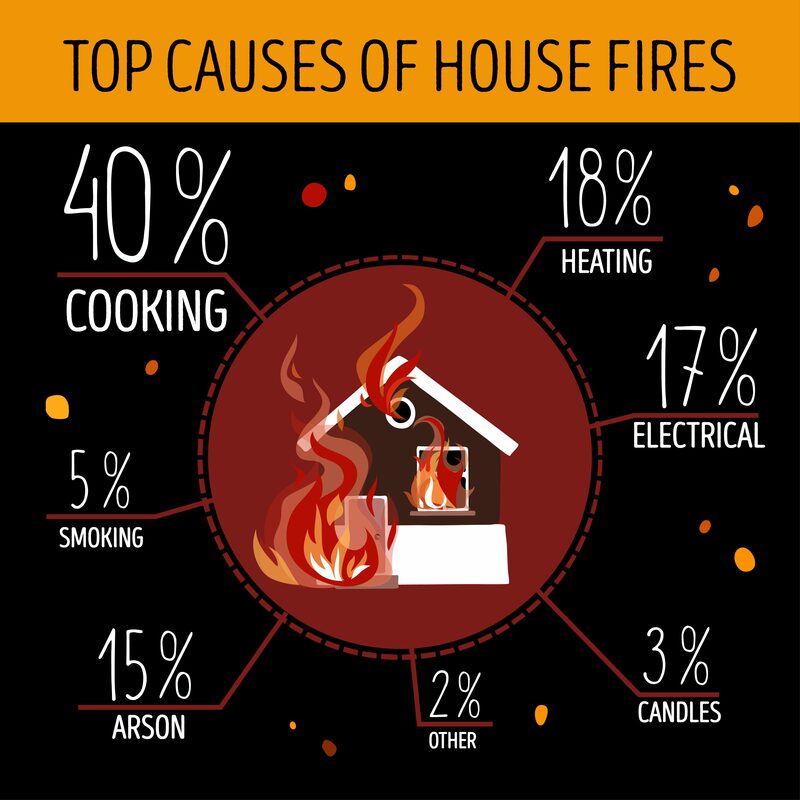 Since fires spread quickly, every second is valuable. Do not try and save possessions before exiting. Your life is more valuable than any possessions you own. If you are trying to escape but the room is filled with smoke, crawl on the ground. Smoke is not as dense as air, which causes it to rise. Cover your mouth and nose to ensure that you are not breathing in the smoke. Breathing in the fumes caused by a house fire are responsible for more deaths than fire itself. If you feel you are not prepared to escape a residential fire, the Las Vegas fire department offers classes to teach the best techniques for dealing with emergencies. To find out more information about this program or others offered by the Las Vegas fire department, please call the Office of Public Information & Education at 702-229-0331. -> 501 Things to Do in Las Vegas!